Order fulfillment (getting the product to its destination) is just one type of service that you can get from a product fulfillment company. There is a large range of potential value-added and accompanying services that can be offered to help bolster the effectiveness of your supply chain. Pick-and-pack, kitting, returns management, testing, collating, and quality control inspection are just a taste of the types of additional services a candidate can offer. The product fulfillment option that costs the most isn’t necessarily the best, but if you go with the cheapest choice you may be getting exactly what you pay for. Finding an option that combines affordability with effectiveness is a worthy goal that requires a bit of a critical eye. First, form a realistic budget. Look at how much volume you deal in each month and use that to establish what you can reasonably be able to pay. Second, always do comparative shopping and never be afraid to ask for explanations of why one company’s price varies from another. Third, pay attention to how fees and charges are broken down. Depending on your exact product fulfillment needs, it may be that you can avoid paying for certain services without consequence. When you use a product fulfillment service, you are taking advantage of the company’s pre-existing shipping and delivery network. It is therefore important to make sure that your needs align with how their shipping schedule operates. As a quick example, an order fulfillment provider that only ships products out twice per week is not a good match when you are trying to offer same-day delivery. Pay attention to the volume of shipping a company deals with as well. Volume can give an idea of how well a candidate is doing and can give a sense of the amount of weight is has when trying to negotiate better shipping rates. As the old real estate maxim says pay attention to where your product fulfillment service is physically located. Are your products going to be shipping out near major traffic arteries? Or by an airport or train line? 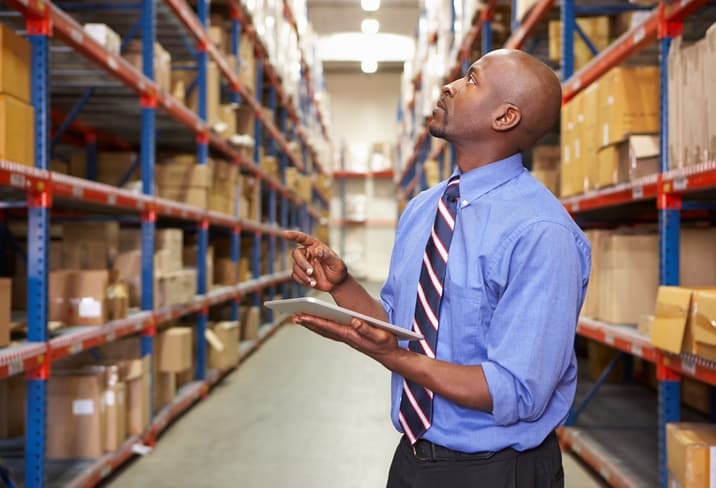 Looking at location lets you assess the kind of reach and speed a fulfillment provider might have. Proximity to your largest customer basis or to markets you hope to expand into will also come into play here. Like with any business, a good product fulfillment service will have a trail of satisfied clients. It’s a good idea to ask for references to see what current or previous clients have to say. Perhaps view Twitter and Facebook posts will be another source of information. Online review sites are also an ample source of opinion. When looking at reviews, don’t just focus on the number of stars a business is given. Make note of what is actually said in a review—how the company responded to problems, level of diligence, attitude, etc., to get a more complete view of a candidate. Cannon Hill Logistics is a specialist in outsourced wholesale and retail product distribution, fulfillment, and logistic services that based out of Frederick, MD. Our 30 years of experience has been dedicated towards giving the tools and personalized services that any new or existing company needs to streamline distribution and boost market share. Our fulfillment center is 45 miles from the Port of Baltimore and 40 miles from Baltimore-Washington International Airport so inbound freight moves to us quickly and inexpensively. We can ship to half of the USA population within two business days using ground transportation. Feel free to contact us at 1-800-822-4747 for further information. ← Nature’s Liquids Joins The Team!